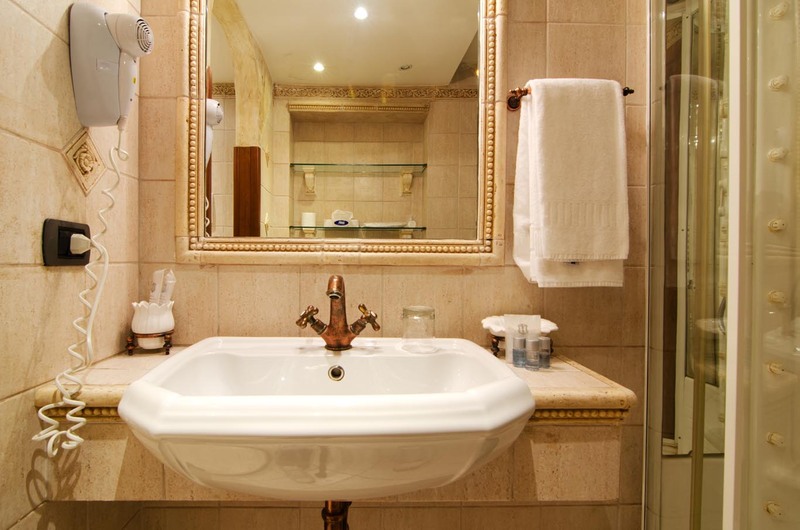 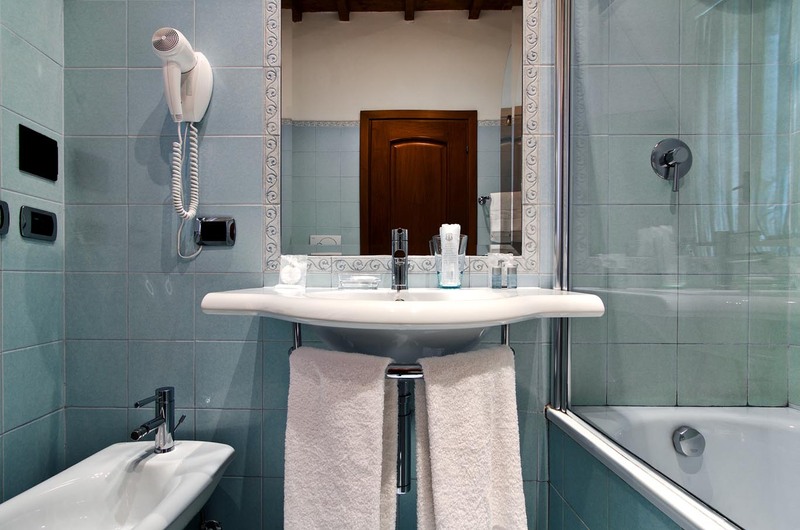 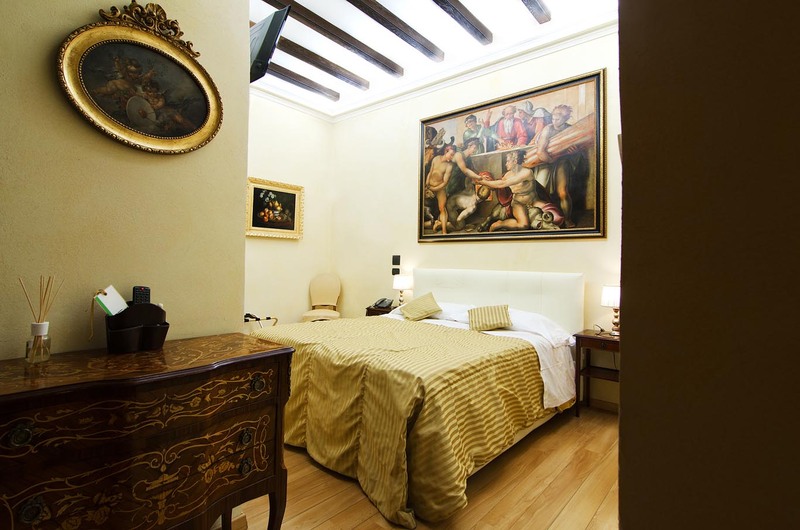 Cenci, a charming Bed and Breakfast is situated in the heart of Rome and just a stone's throw away from The Trevi Fountain. 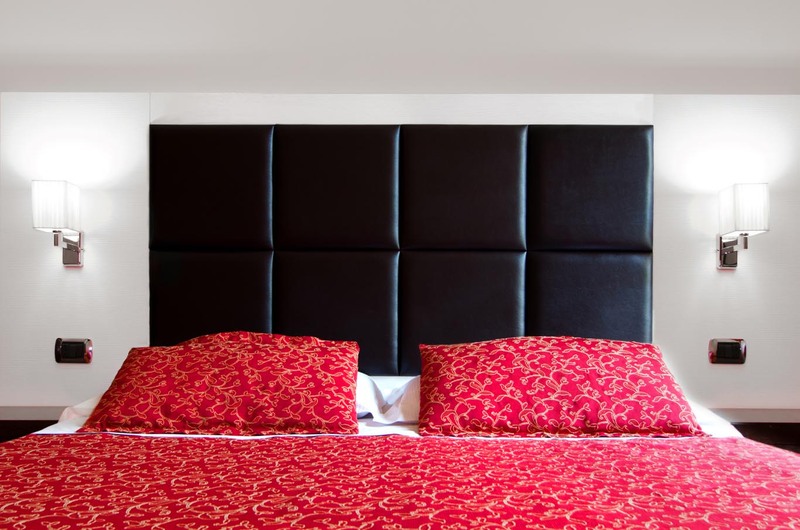 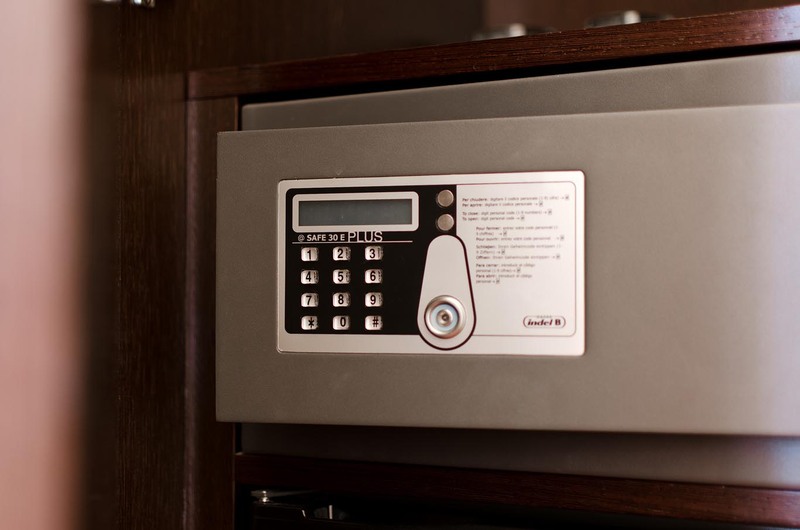 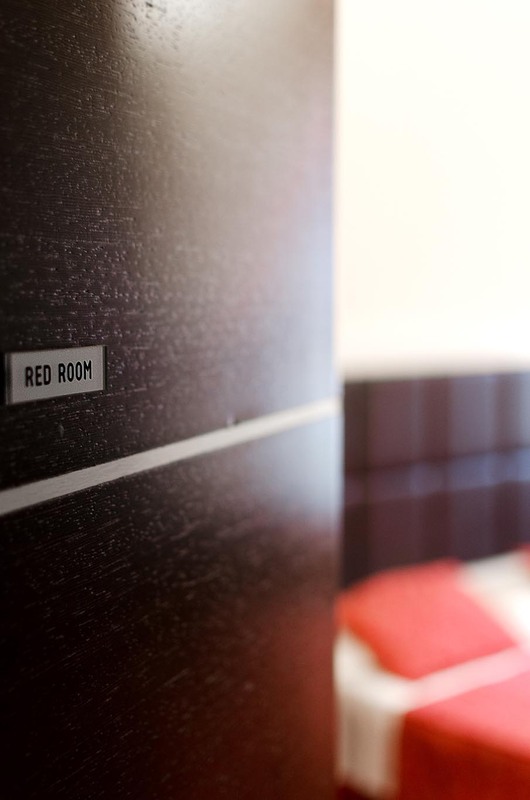 All our rooms are extremely comfortable and come fully equipped with a private bathroom, TV LCD, and air conditioning, thus serving as the perfect base for exploring the lively and beautiful city. 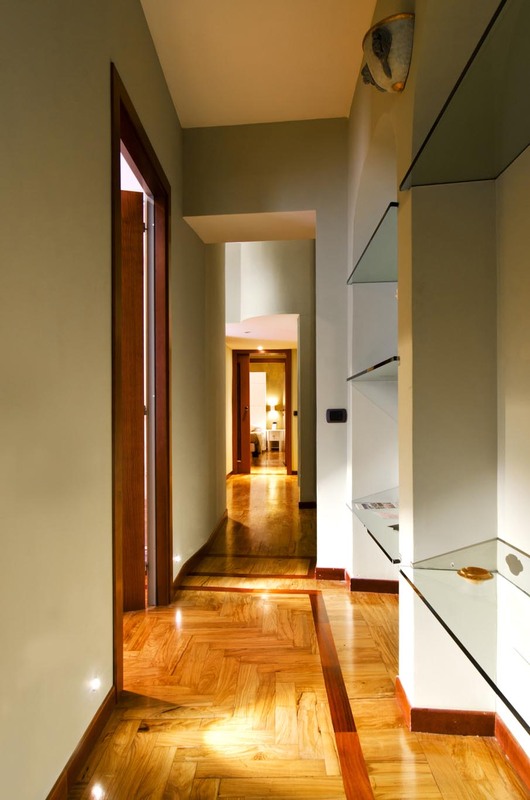 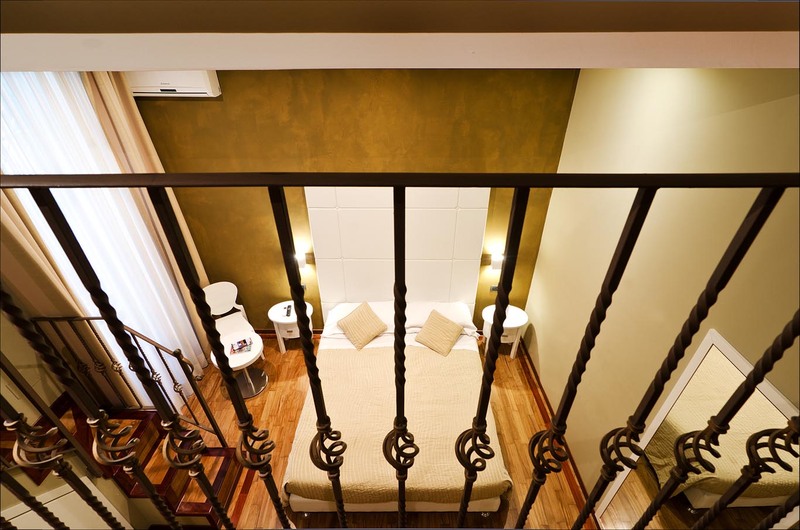 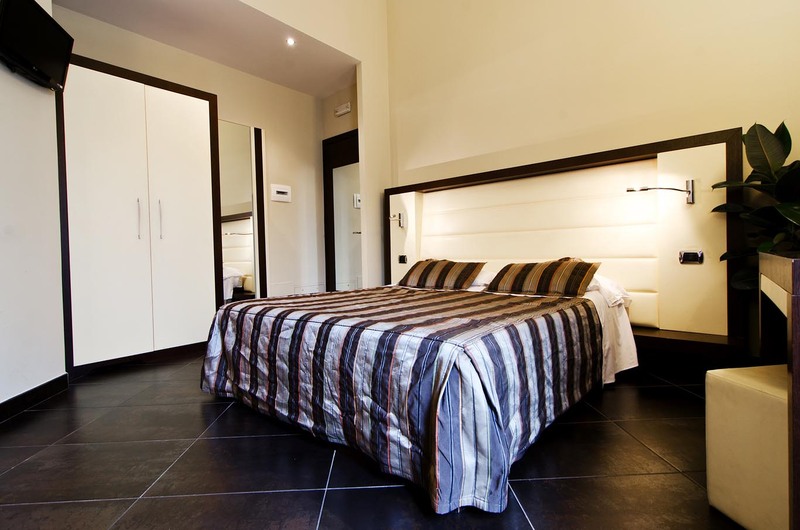 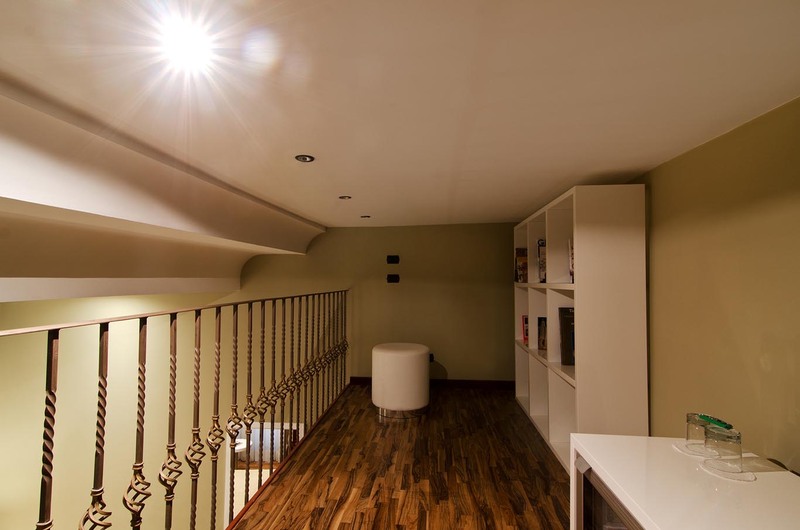 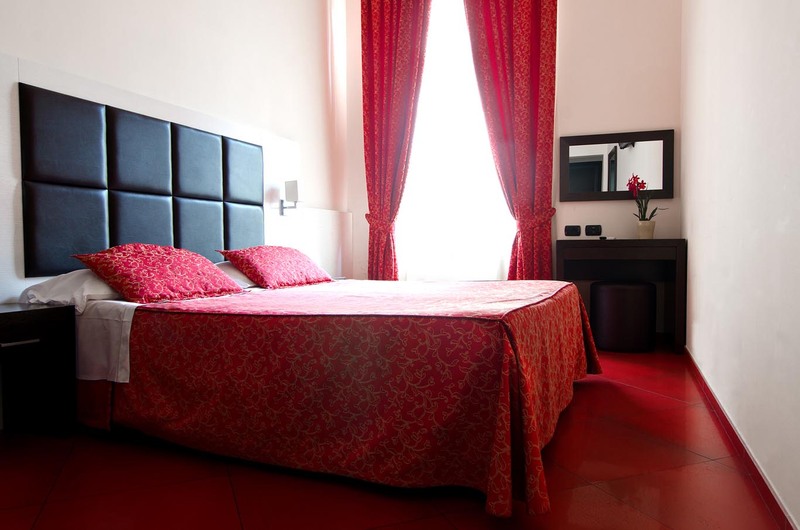 Cenci B&B is situated very close to the Metro stop Barberini (Line A). 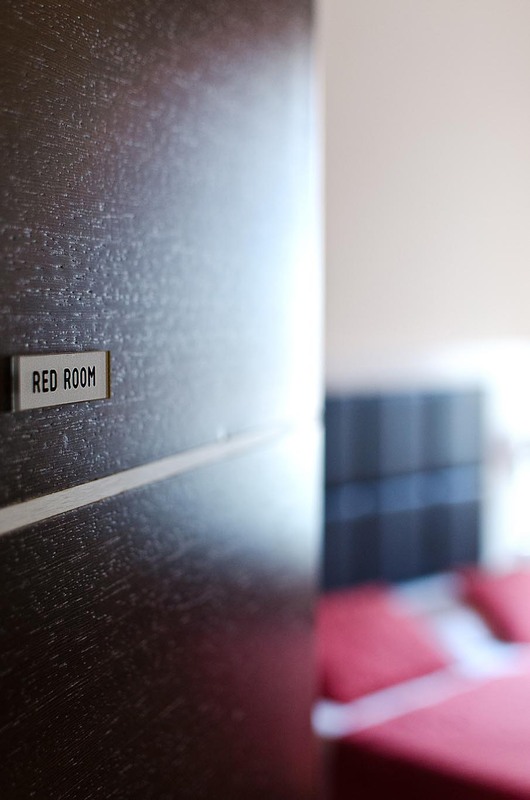 Each room has been decorated in a minimalist but elegant fashion, and comes equipped with a king sized bed, mini-bar, safe box, TV LCD, and internet connection. 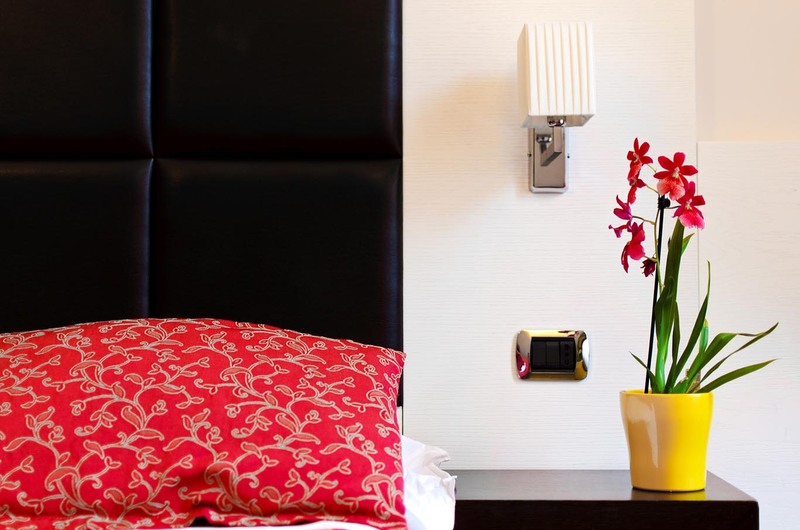 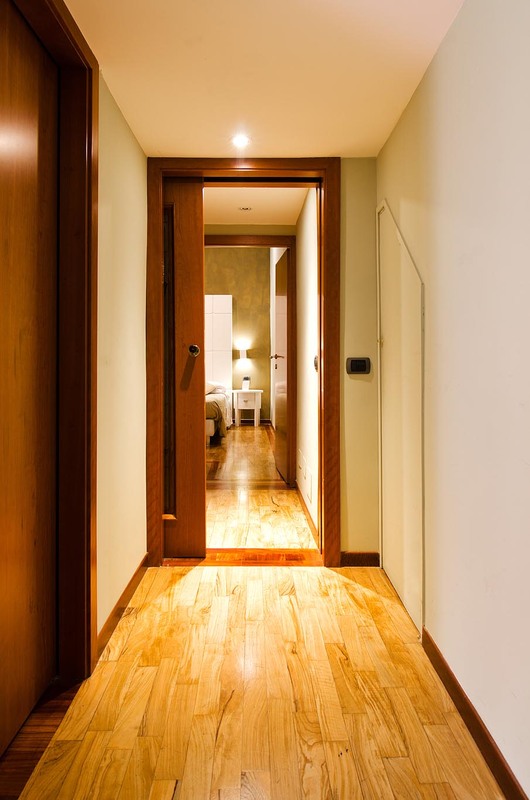 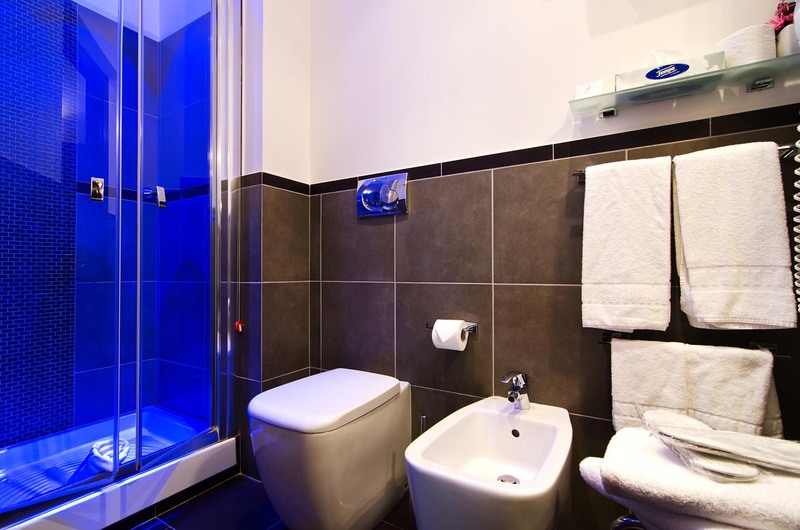 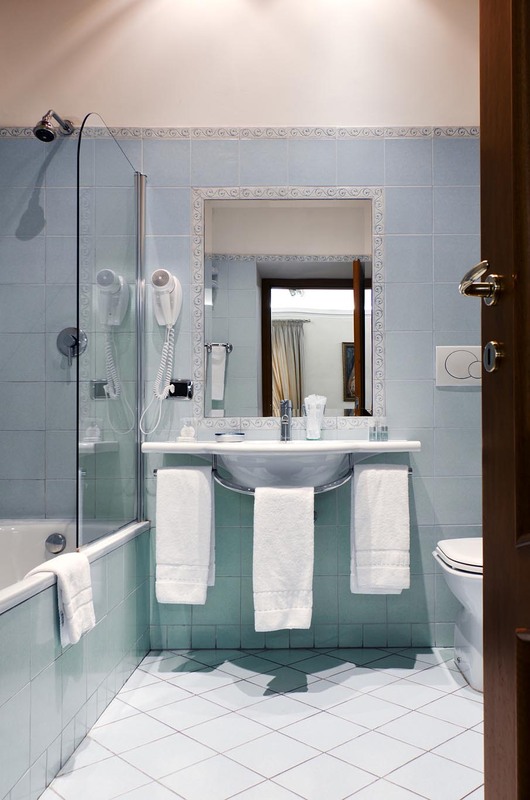 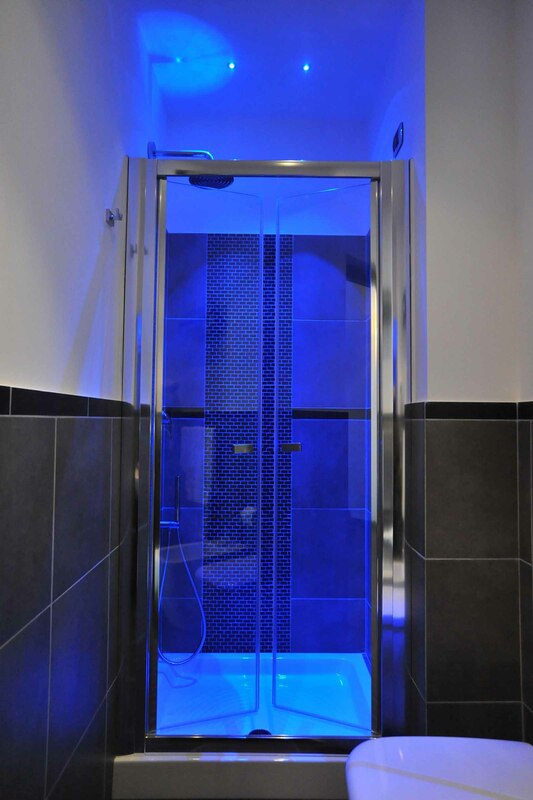 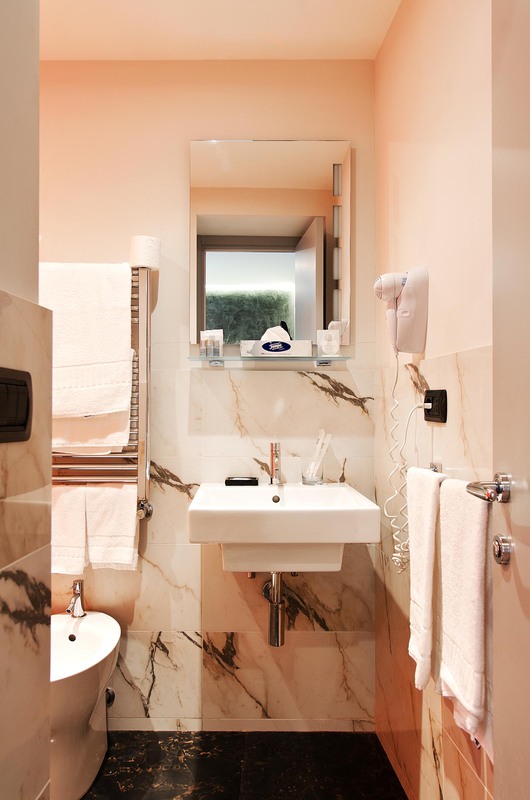 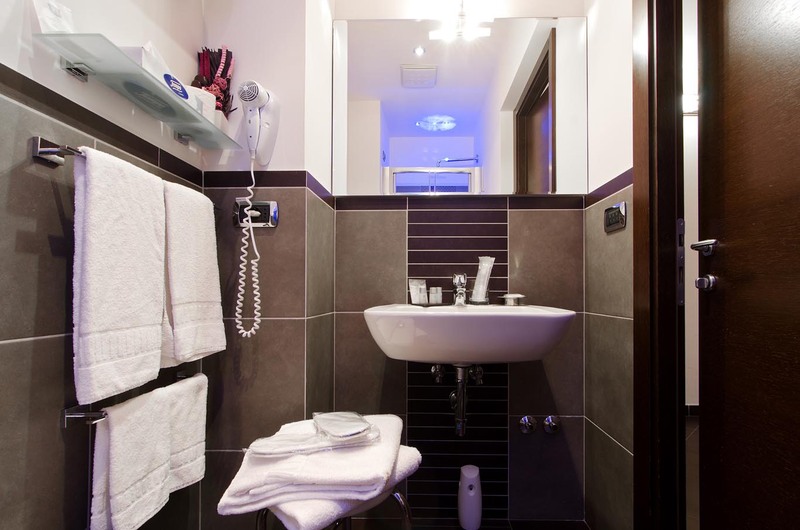 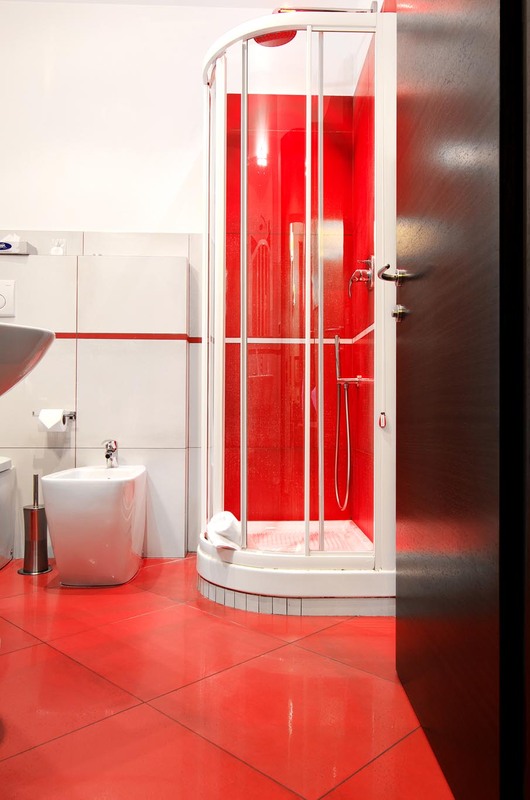 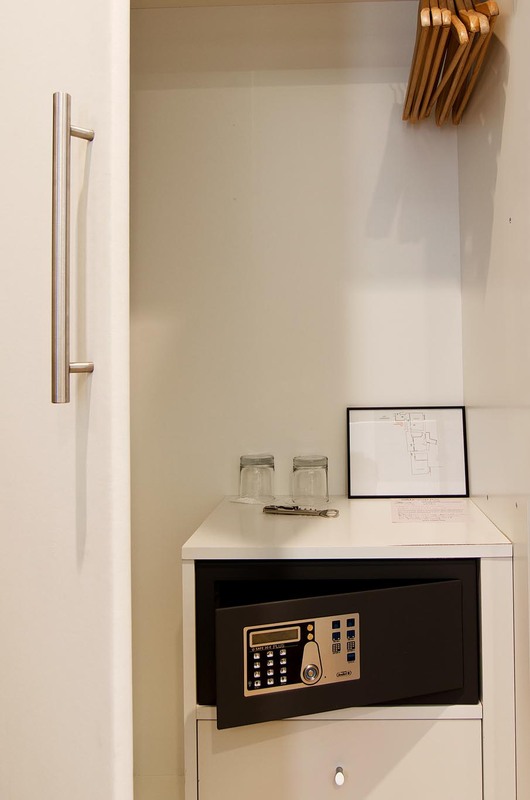 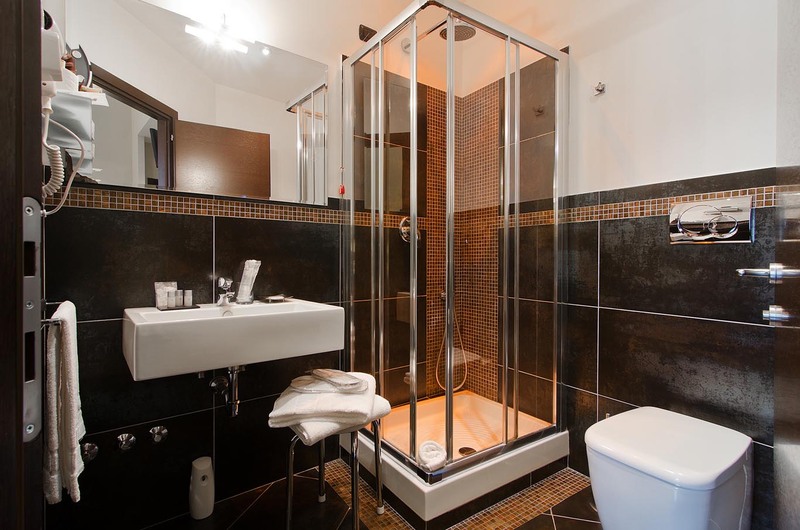 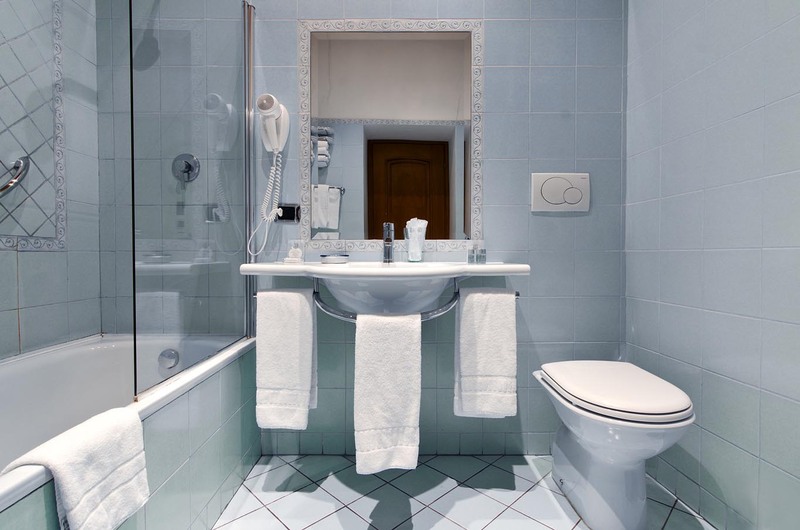 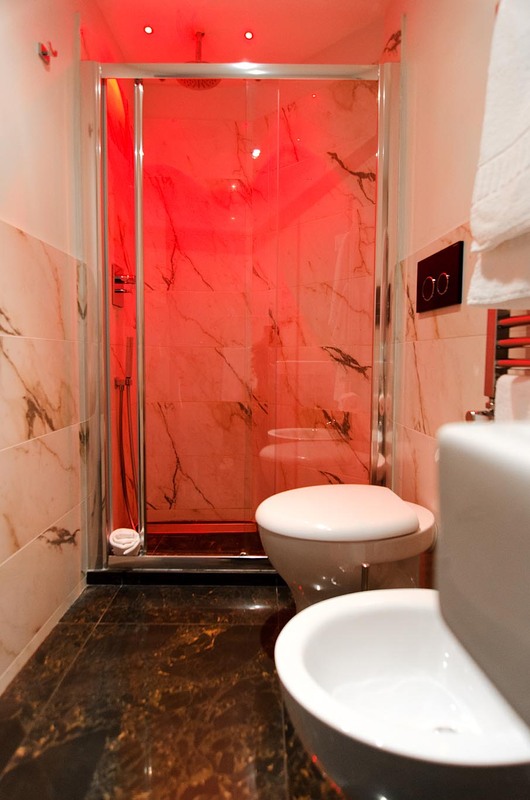 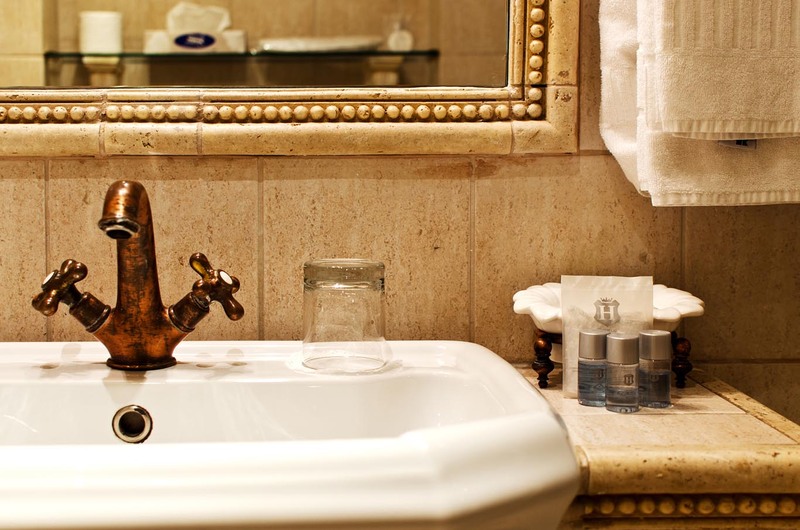 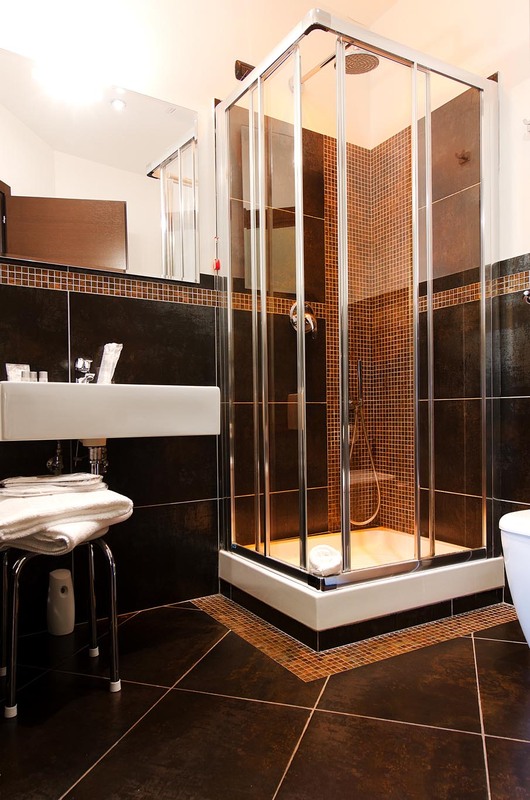 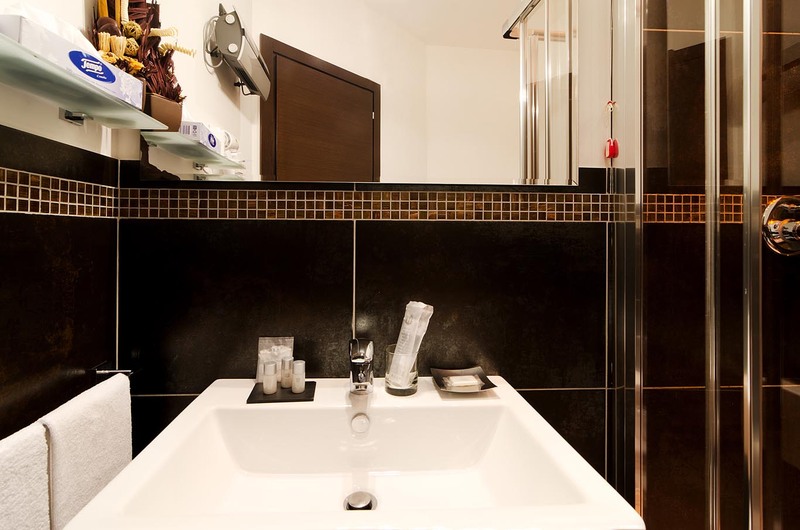 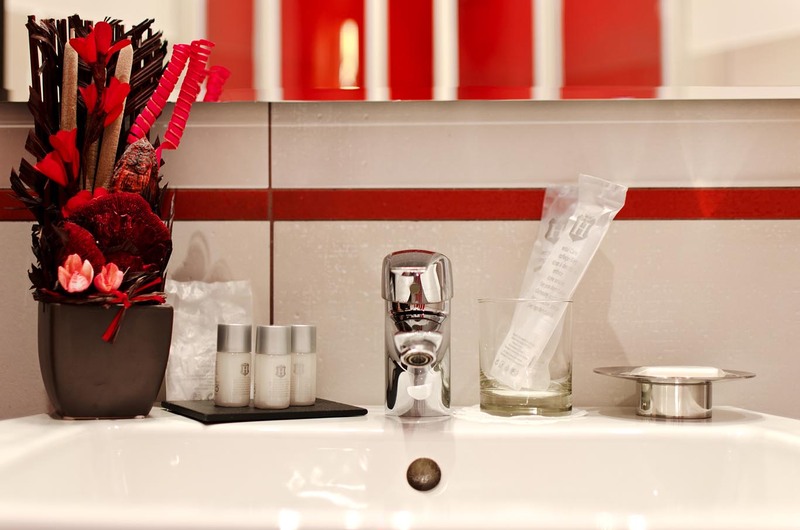 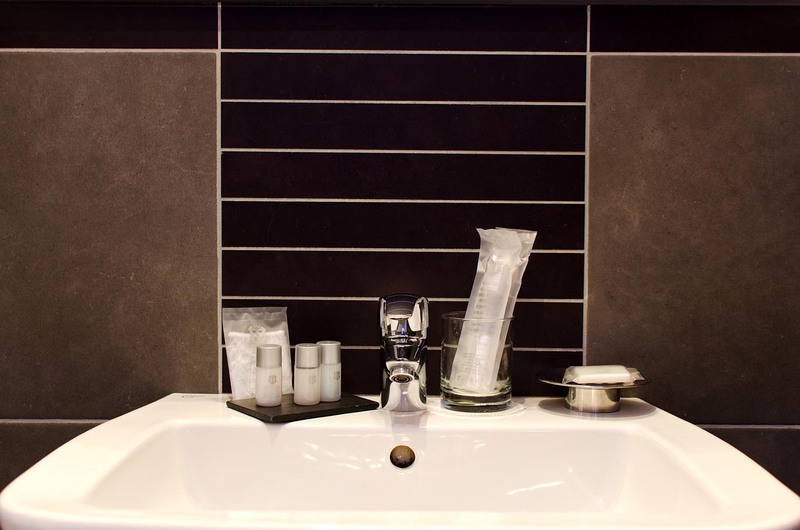 Each room also has a private bathroom with standard chromotherapy and daily housekeeping service. 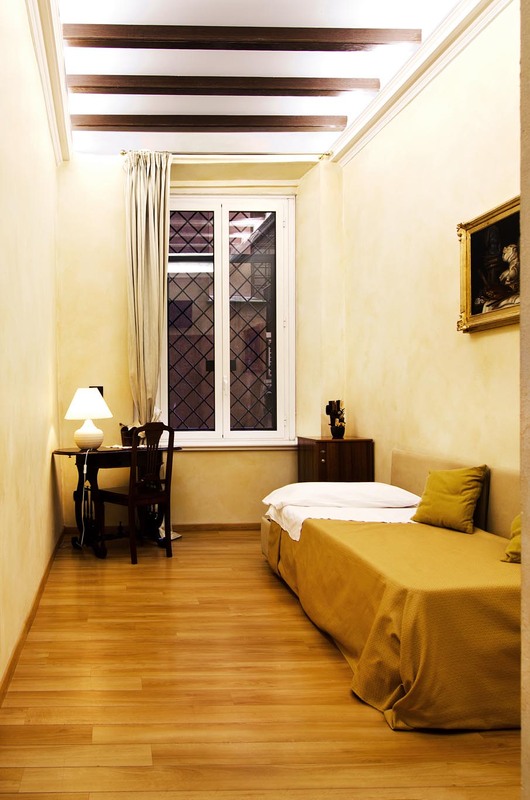 Overall Cenci B&B provides a unique opportunity to experience the ancient city of Rome from a modern and refined Bed And Breakfast. 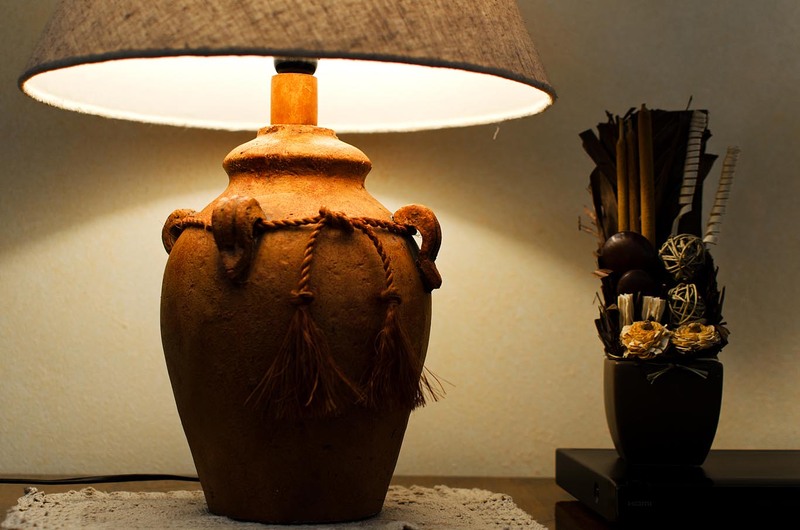 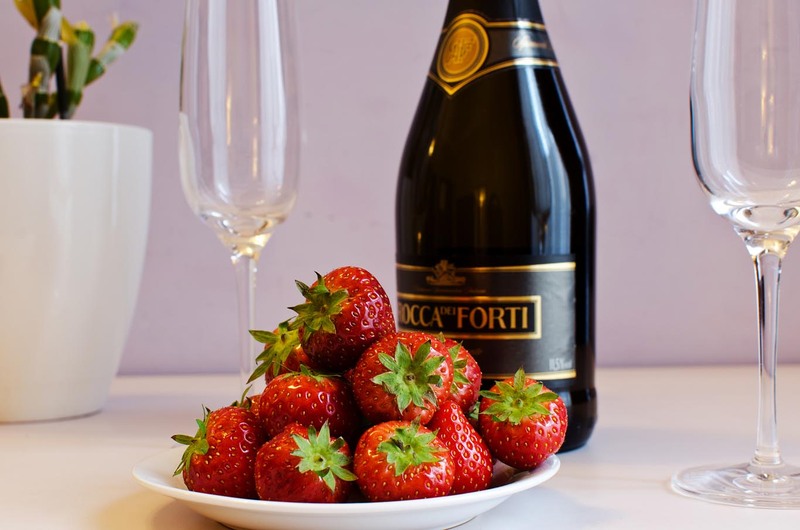 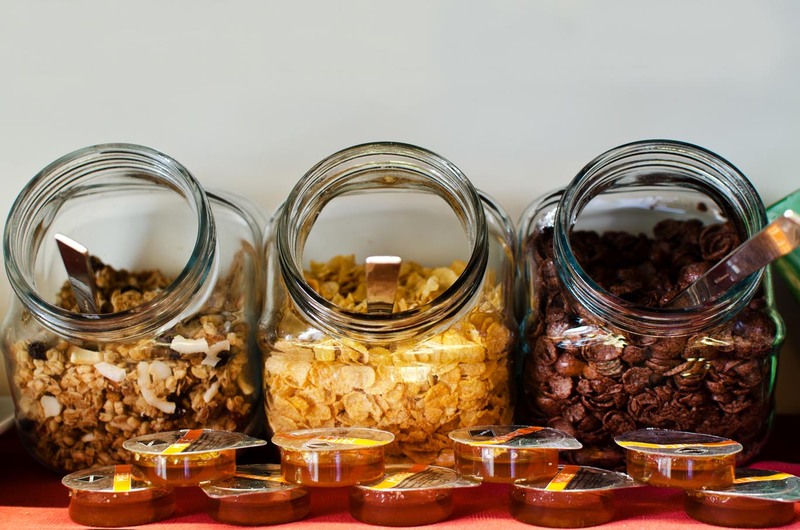 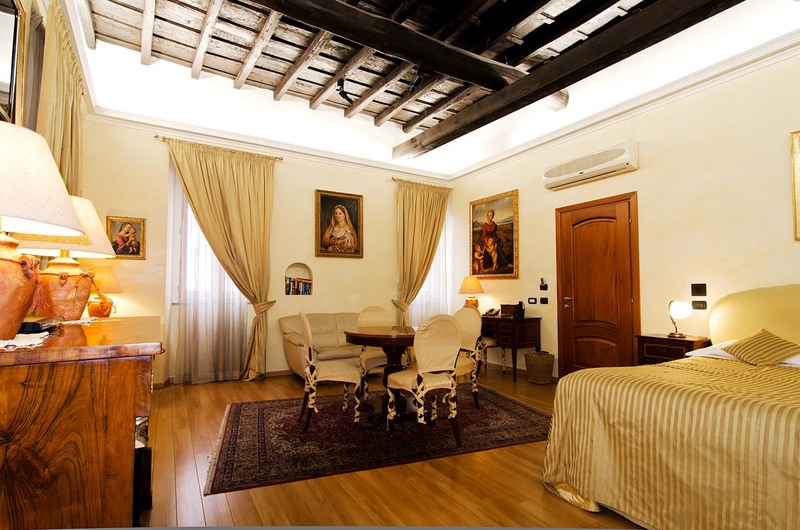 Let yourselves be lulled by the modern and elegant atmosphere of Cenci Bed&Breakfast and indulge yourselves in the list of our services offered. 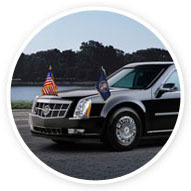 Our Limousine service is available at request to take you to and from the airport or the train station, and any other places you wish to explore. 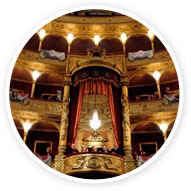 For our tour services take a look at our catalogues of the most famous tour agencies in Rome and we ourselves will book your visit. 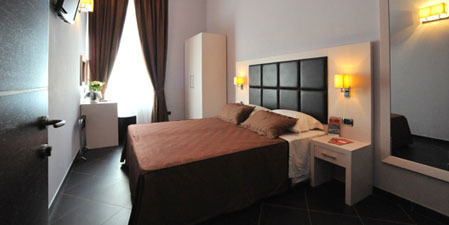 Or on the other hand, treat yourselves to a private guide who will lead you around and help you discover Rome. 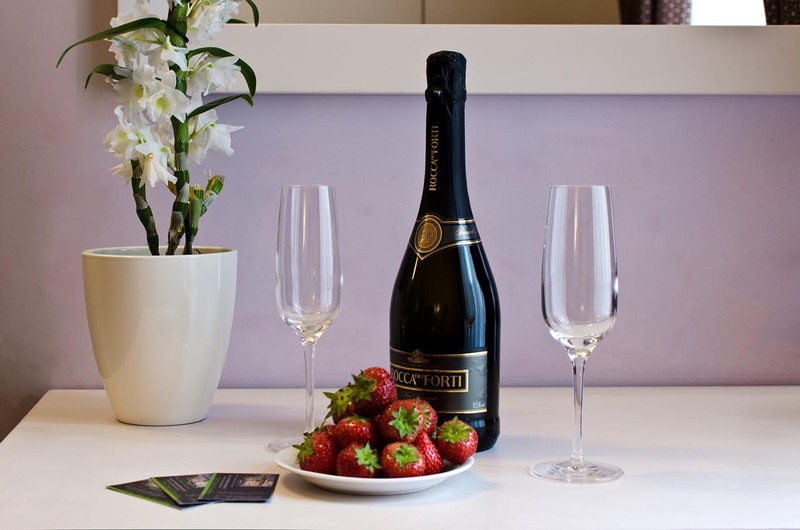 In terms of booking tickets and making reservations, we are always available to help you with what you need, whether it be tickets for the theatre or a museum, invites for a Mass at St. Peter's, and anything else that might interest you. 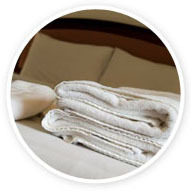 Our laundry service is also available at your request. 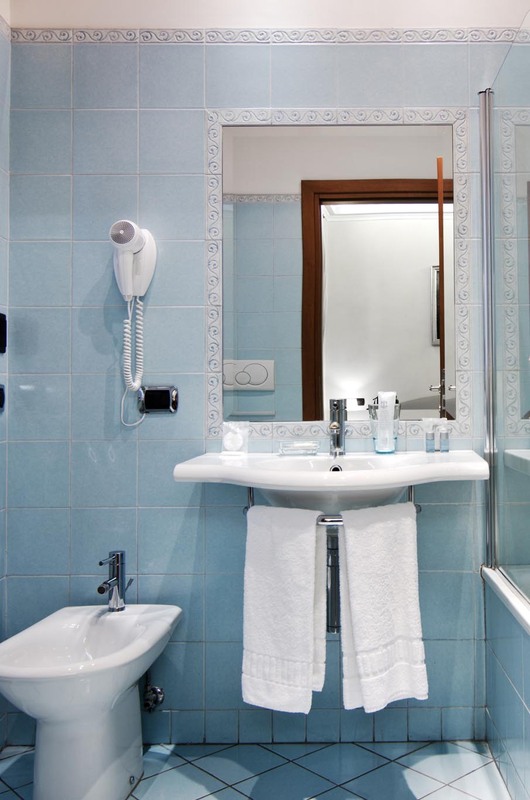 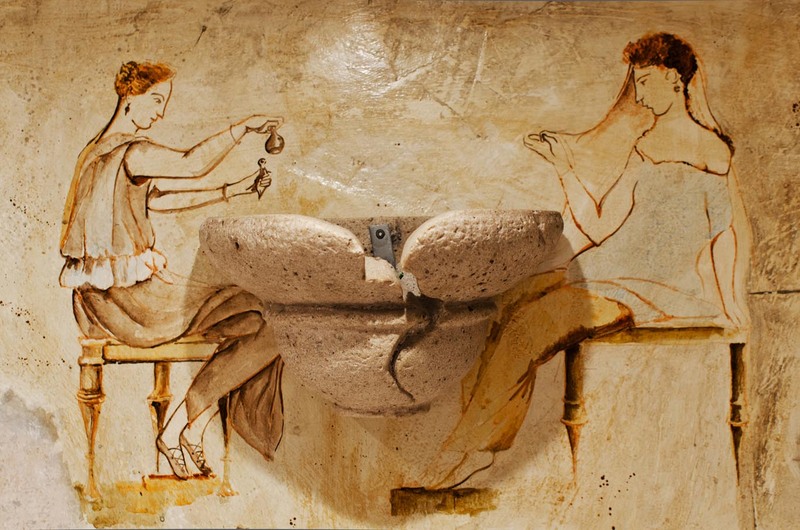 All you need to do is to leave the clothes you want washed in the room, go out and enjoy and day exploring The Eternal City, and when you return, the clothes will be washed, ready, and waiting. 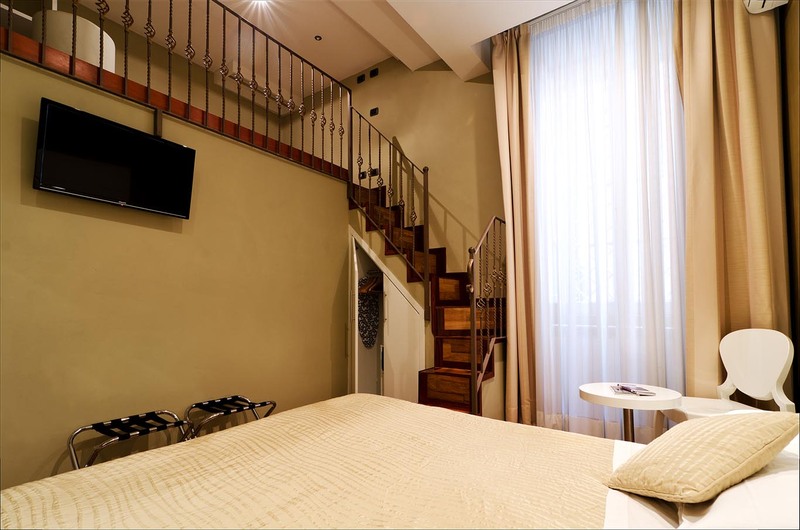 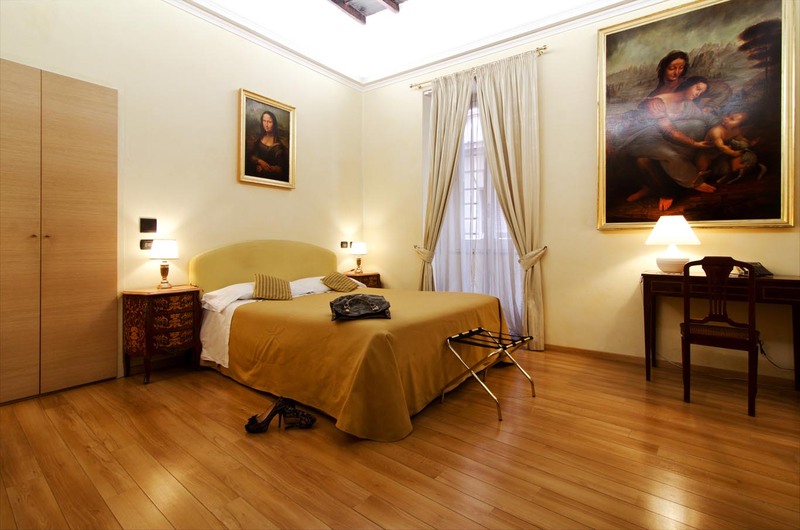 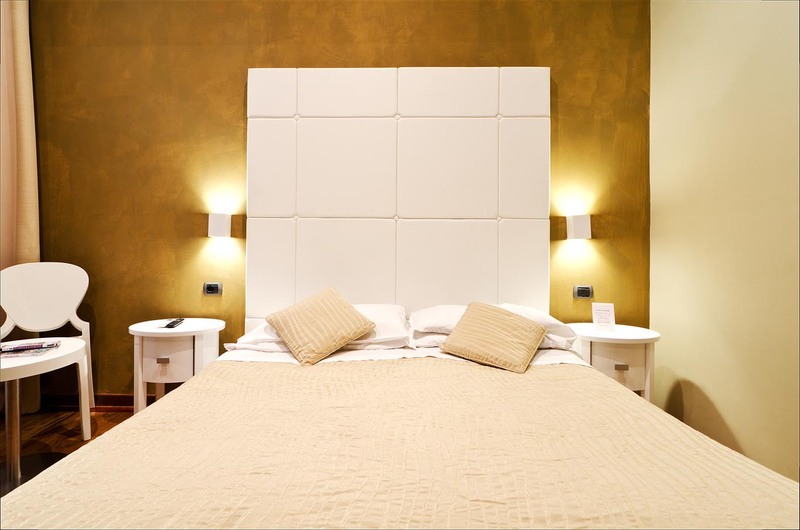 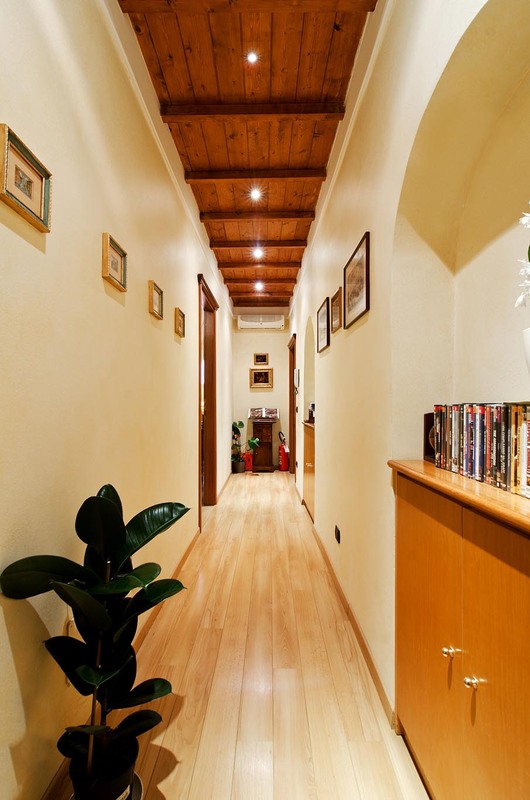 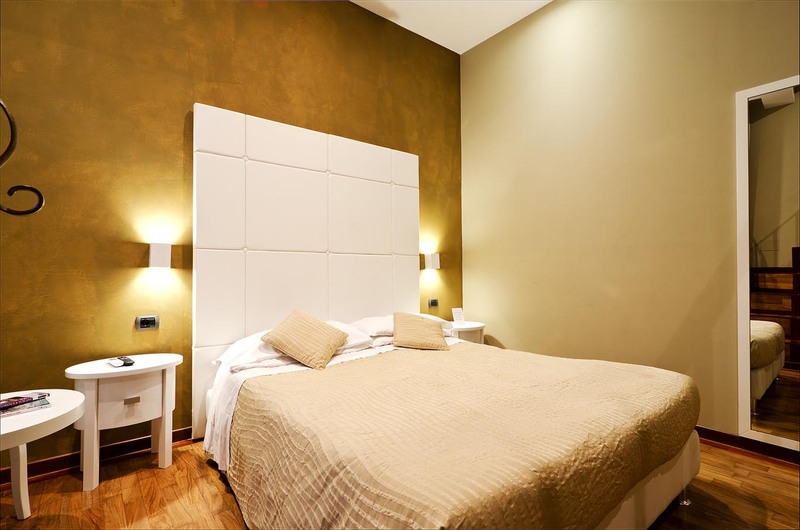 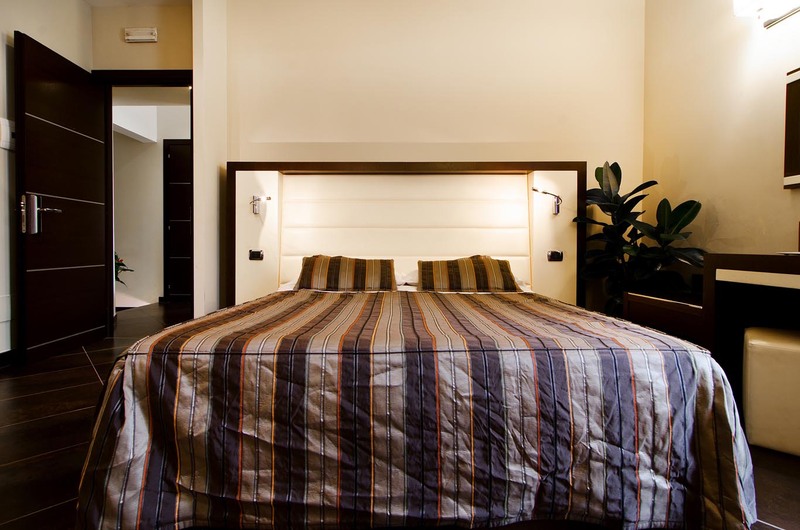 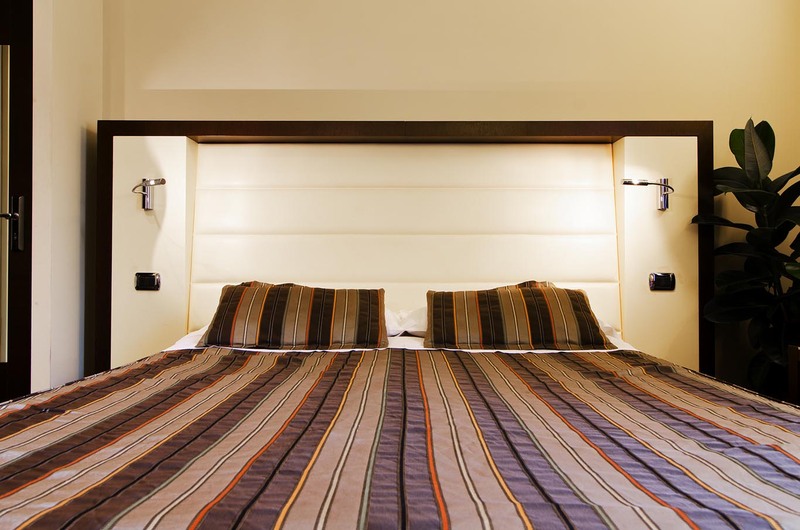 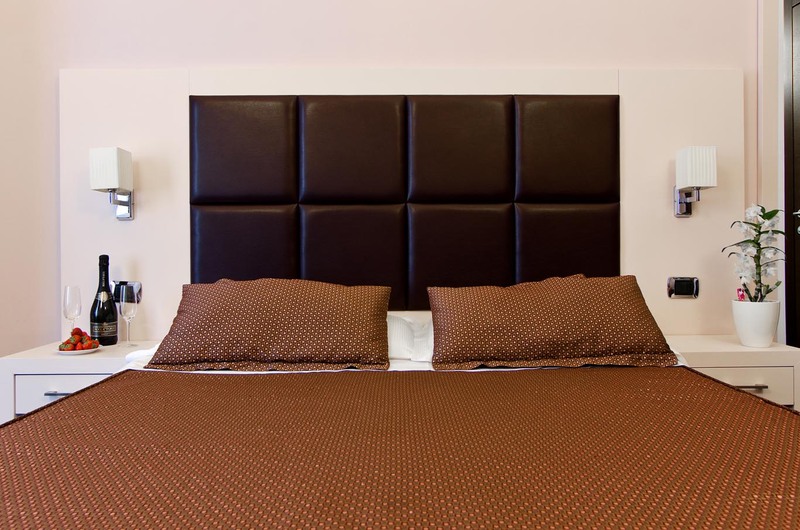 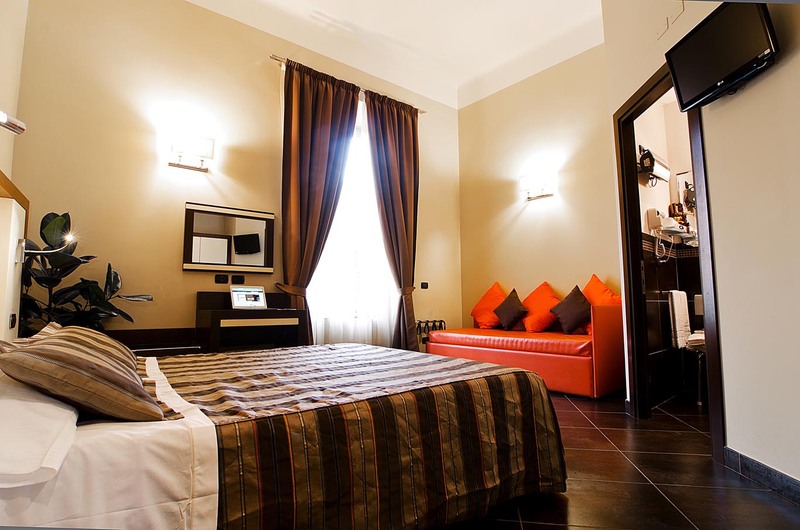 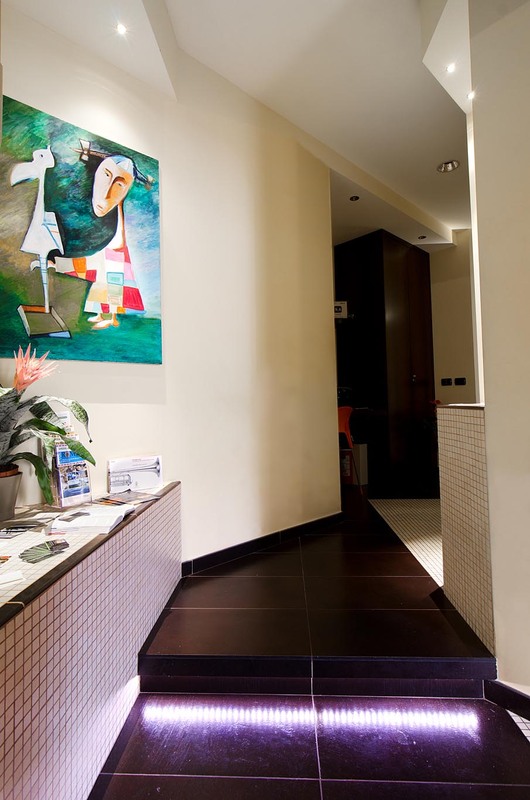 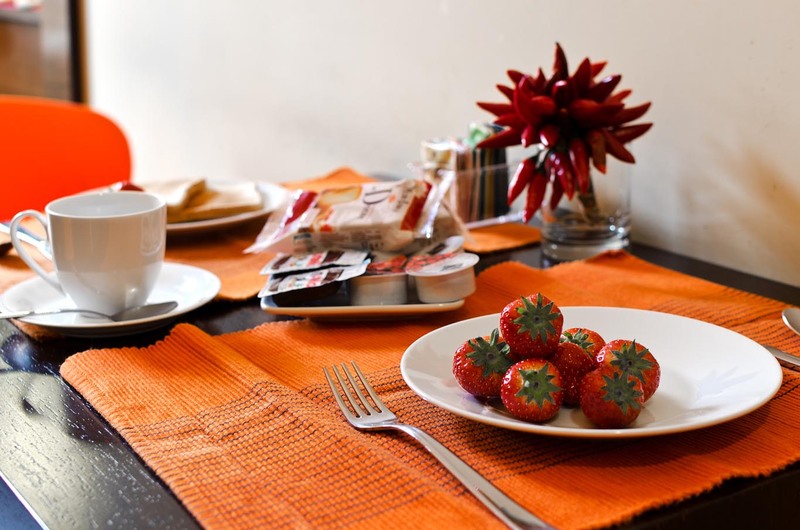 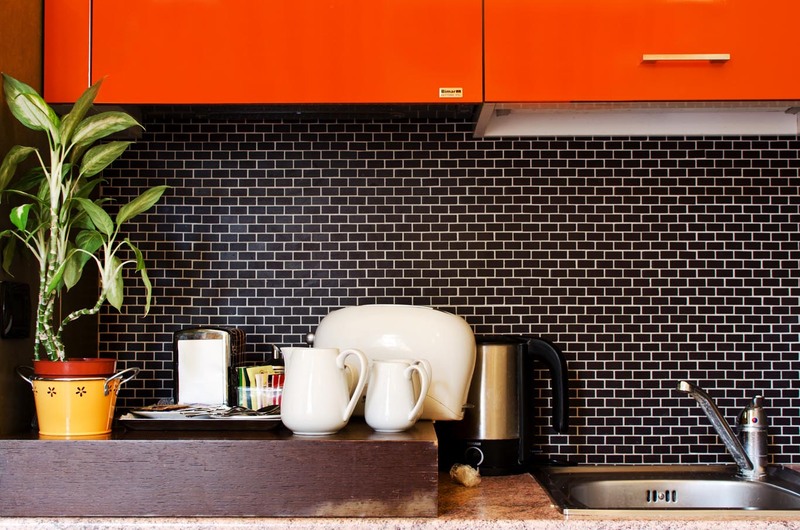 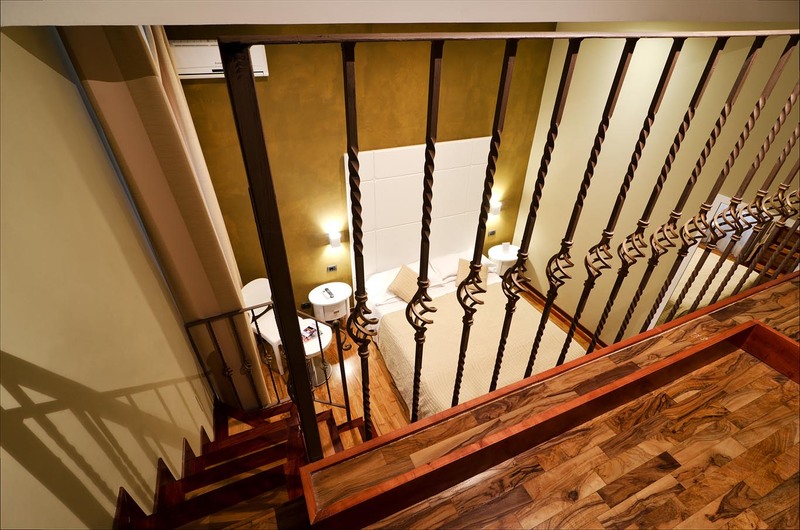 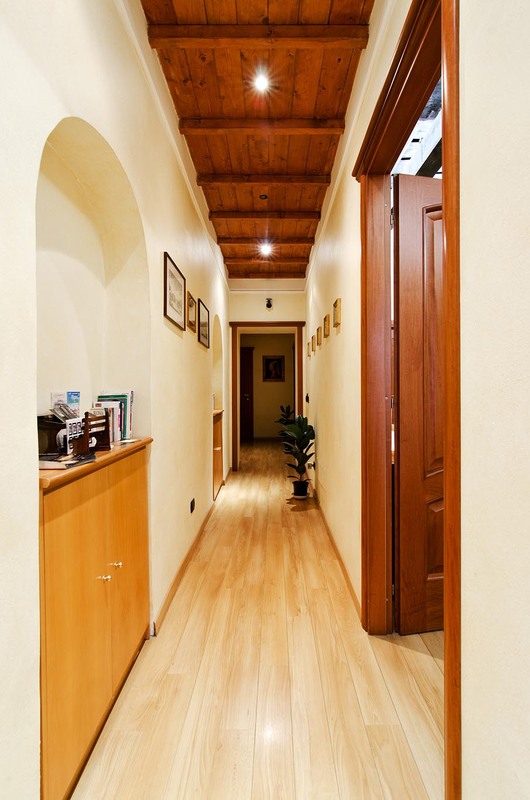 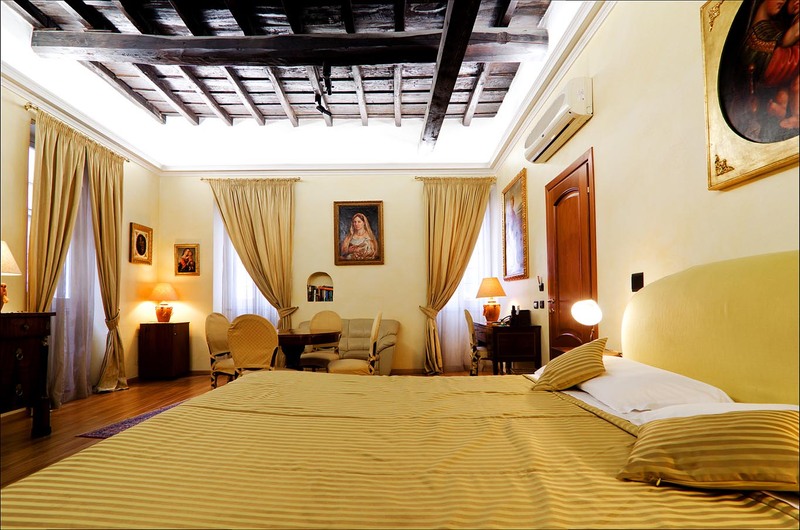 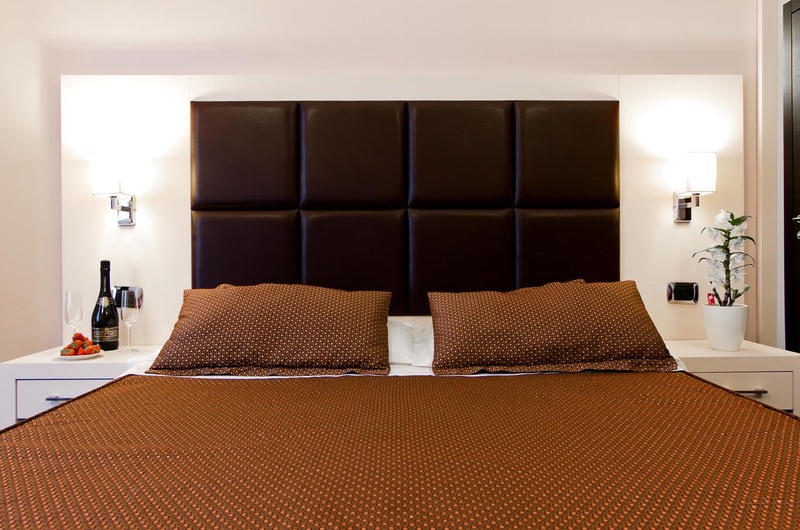 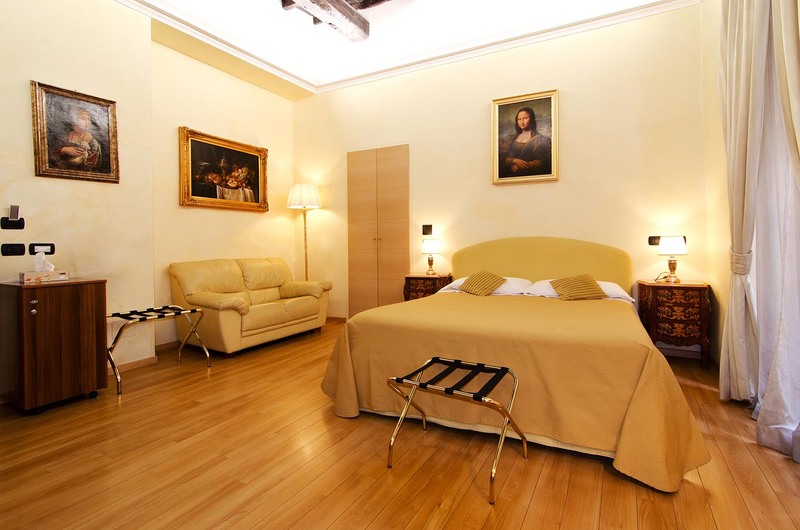 Cenci Bed and Breakfast can be found deep in the centre of The Eternal City and within walking distance of some of the cities most famous and exciting piazzas, such as Piazza di Spagna, Piazza Navona, Piazza del Popolo, and Piazza Venezia. 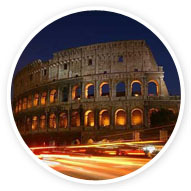 Furthermore, from Piazza Venezia, it is incredibly easy to reach The Colosseum, which is considered to be one of the most important and impressive monuments in Rome. 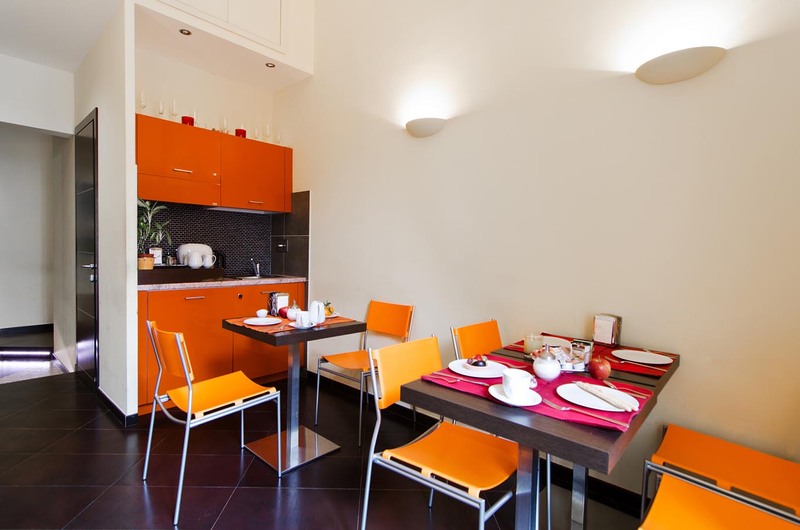 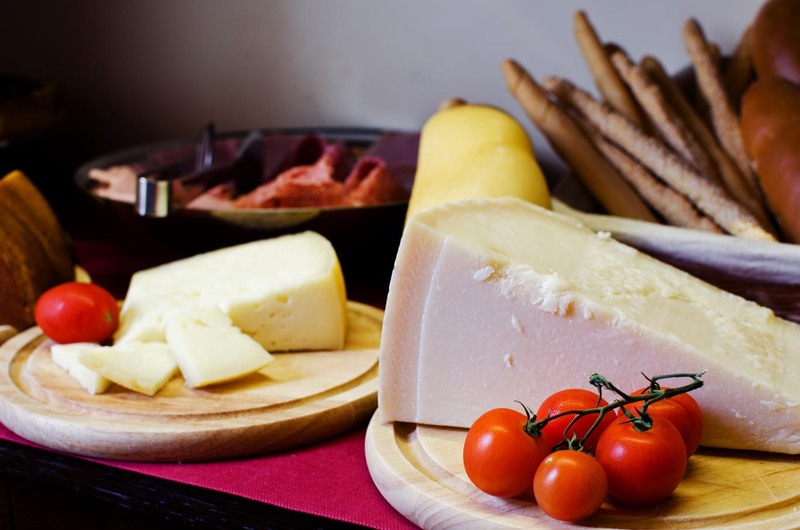 Rome is renowned also for its shopping and for its food, and from Cenci B&B you are just a few steps away from the lively shopping streets Via dei Condotti, Via Frattina, and Via del Babuino. 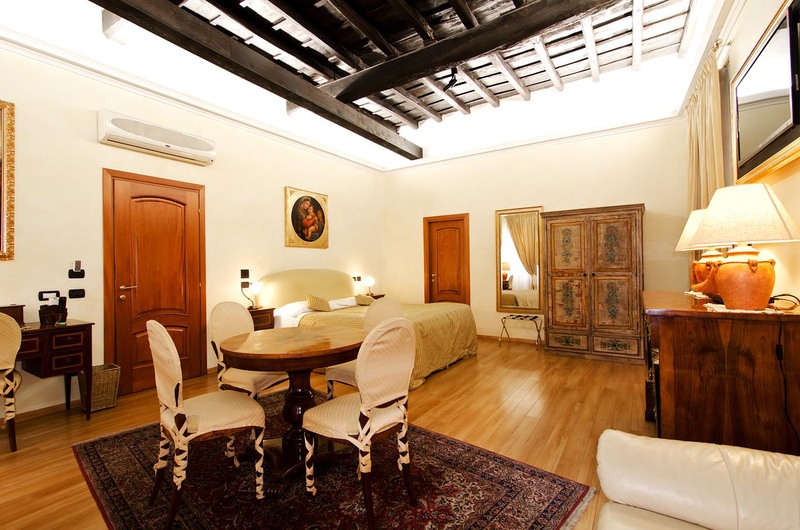 Also within walking distance are the luxurious restaurants of Via Veneto, and the characteristic trattorias of Campo dei Fiori and Piazza Navona. 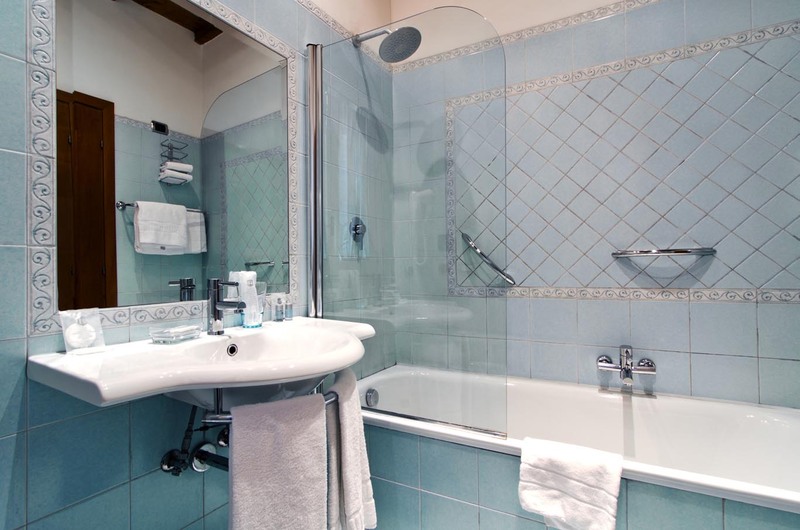 In terms of public transport, Cenci B&B is situated very close to the Metro stop Barberini (Line A), which is just two stops away from the main train station Termini, and just five away from The Vatican City and the Basilica of St.Peter. 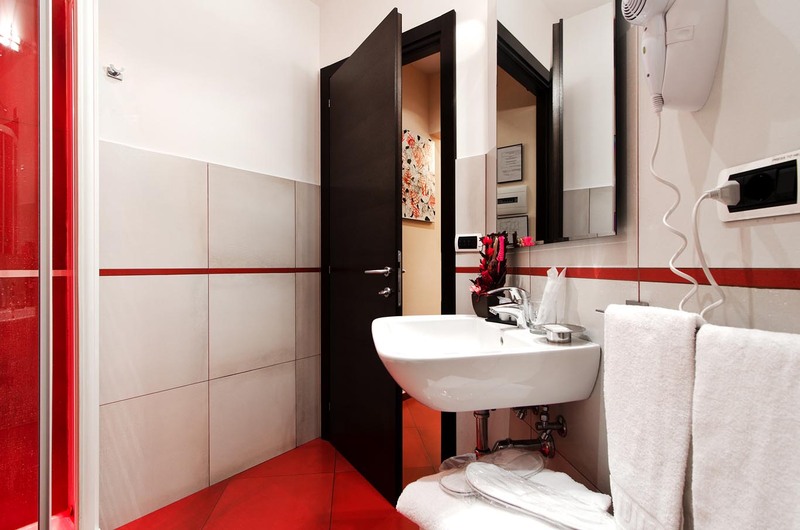 Cenci B&B is easily accessible by Metro Line A Barberini stop, and is only 2 metro stops from the main station Termini and 5 stops from the Vatican, San Pietro. 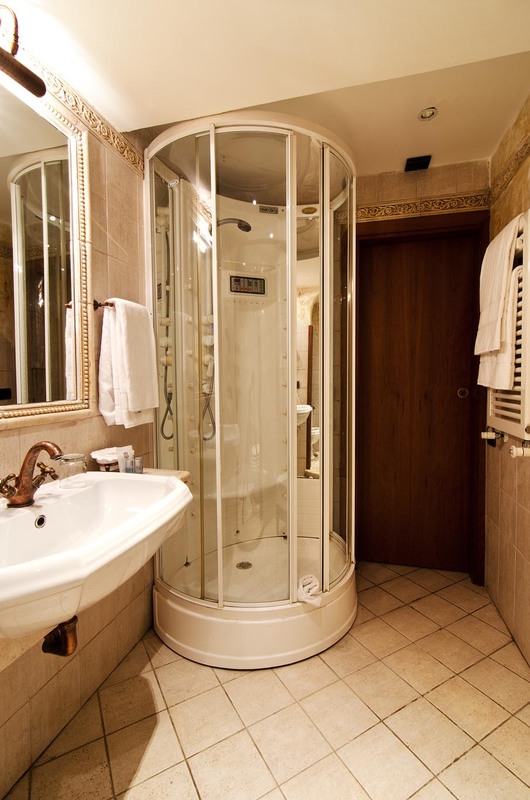 Examples of distance? 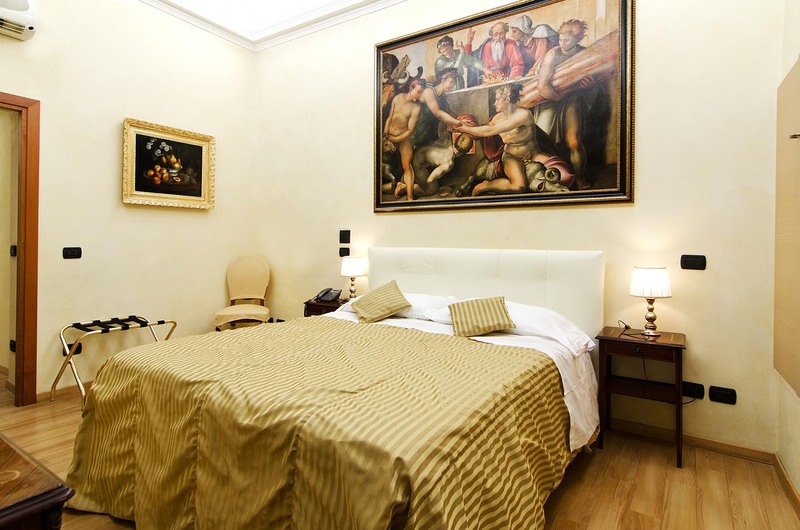 Piazza di Spagna 500 meters and 5 minutes walk, Pantheon 600 meters and 5 minutes walk Piazza Navona about 1km away, accessible by a 10 minute walk Piazza Venezia 750 meters, 5 minutes walk Colosseo 1.5 km , passing by the Altare della Patria, piazza Venezia you will be there in less than 15 minutes, San Pietro and Vatican Museums 2.4 km, or taking the subway line A in 10 minutes. 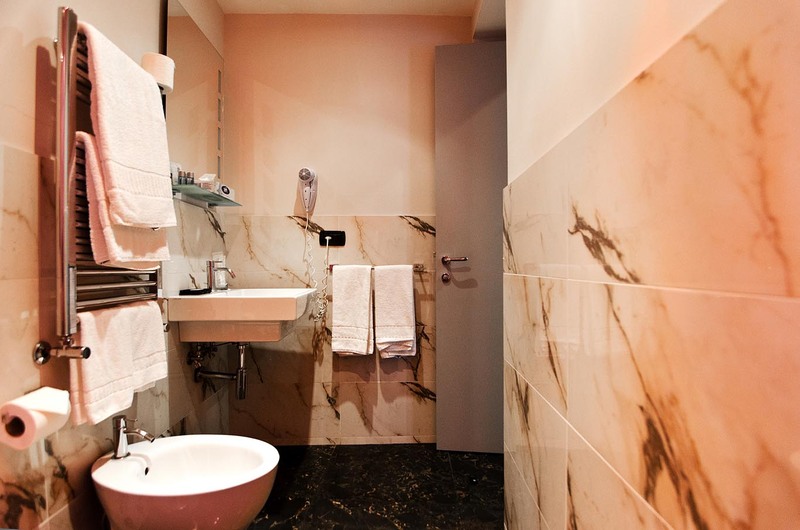 Not to forget the famous Roman roads of the sweet life and shopping. 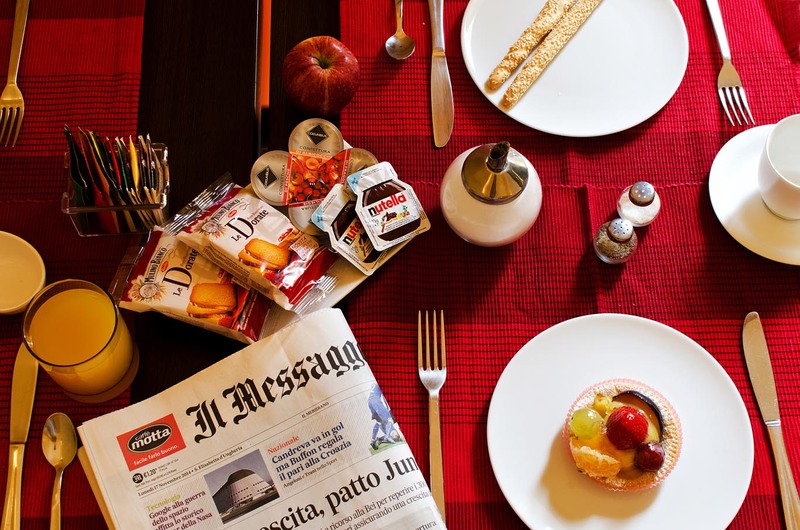 The historical Via Veneto, with its cafes, it is located just 550 meters. 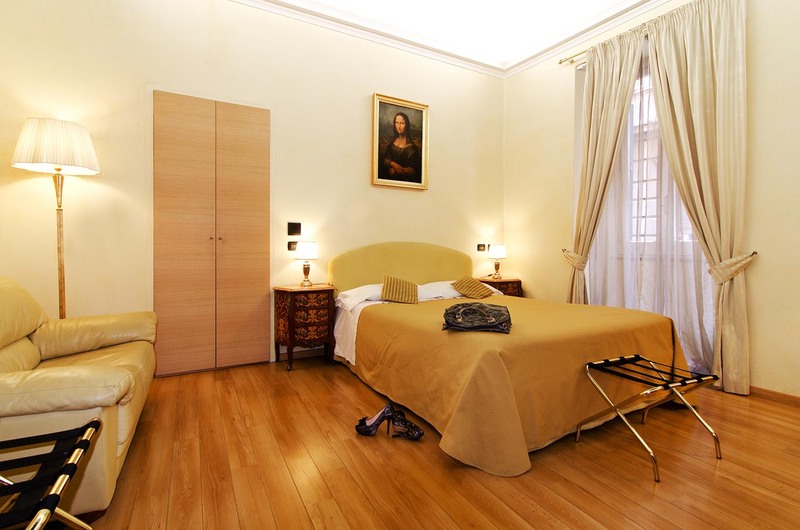 For shoppers, Via del Corso and via Condotti is just 500 meters away, and via Nazionale is about 1 km.